Margaret River Premium Meat Exports produce premium branded “Margaret River Wagyu Beef” and export it to the world. Commencing business at Cowaramup in 2003, the company now owns the largest herd of purebred Wagyu in Western Australia and employs a network of farmers throughout the South West who manage the breeding, backgrounding and feeding of the Wagyu cattle. 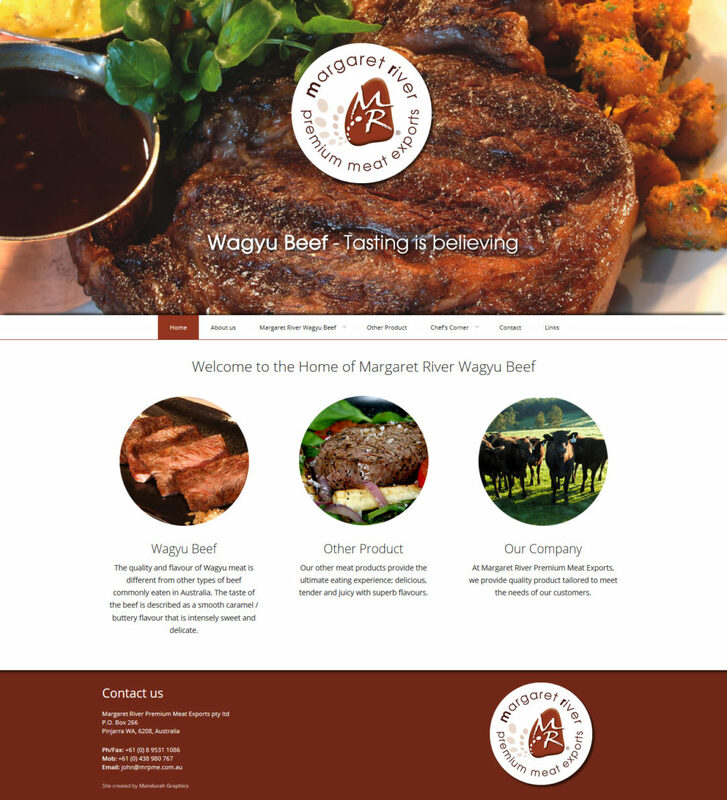 When developing the website for Margaret River Premium Meat Exports, we were working on other aspects related to the marketing of the brand, such as brochures, banners, signage and more. This meant it was imperative for the website to strongly reflect the branding elements used in these various methods of publication. This was achieved by using consistant imagery, colours, and layout elements to tie the whole company together.